We do Weber grill repair! Fast, convenient and professional service! Our company does professional Weber grill repair, grill cleaning, and restoration. Our team is factory trained and certified. We have more than 30 years or experience in repair on all brands and models of BBQ grills. In particular, we are experts when it comes to top quality, high-performance grills such as Weber. If you Weber is broken or dirty we can help. It does not matter the extent of work that needs to be done or the deadline. Our highly skilled and knowledgeable team can do it. Our demanding performance standards cover product maintenance, diagnostics, repair and customer relations. We guarantee that your Weber grill will be as good as new after just one appointment with us. Besides haveing all the skills and knowledge needed to do Weber grill repair we also have the best customer service. Our employees are always respectful, punctual and have excellent work ethics. We have flexible scheduling and courtesy call before every appointment. Also, our company offers accurate estimate before every job as well as FREE service call with every repair. We will make sure that you are well taken care of. Our service appointments are fast, thorough and convenient. We carry a majority of Weber grill parts in our warehouse or if not we can always order it for you. And each part we install has a full 3 year warranty on it. 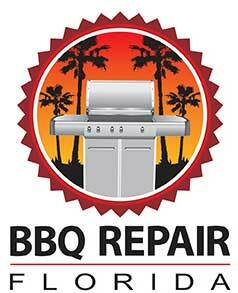 BBQ Repair Texas is all about quality appliance repair service. We give our clients worry-free and convenient Weber grill repair. Our company has been in business for more than 30 years. We service all models and brands of barbecues including gas BBQs, charcoal BBQs, electric BBQs, portable BBQs and smoker BBQs. BBQ Repair Texas’s team is equally skilled in both commercial BBQ repair as well as residential. In fact, if you live anywhere in South Texas we can help you with anything in your outdoor kitchen. Not only barbecue grills but also patio heaters, pizza ovens, outdoor refrigerators, coolers, etc. Please give us a call at 469-440-2605, for all of your Weber grill repair needs. We will schedule you a fast and convenient appointment with one of our Weber repair specialists. They will gather all the info and will pick up the parts needed for your project. We usually carry most of the Weber genuine parts in our wear house. If not we will be more than happy to order them for you. Our technician will soon be on his way to your house. As soon as he gets there, he will start figuring out what is wrong with your barbecue grill. He will take it apart, clean it, and thoroughly examine every detail of it. Usually, the culprits are aged and worn parts. Unfortunately, even for a high-quality grill like Weber parts do deteriorate when exposed to outside. We can help you with any of those issues and more. Our company will give you a BBQ grill that is fully functional, clean and safe to use. We guarantee that you will be happy with the results! Why hire us to do your Weber grill repair? We are top specialists in Weber grill repair. Our team has more than 30 years experience in the field and knows everything there is to know about barbecue repair, barbecue cleaning and barbecue restoration. They are all factory trained and certified. In addition to this, we have excellent customer service and discounts for our loyal customers. We strive to make your BBQ repair experience fast easy and convenient. After an appointment with us, your Weber will look and perform better than ever! For Weber grill repair, please call us at 469-440-2605! Or fill out of short online form! Besides Weber grill repair we also do all the other brands such as Alfresco, Capital, DCS, Fire Magic, Kalamazoo, Lynx, TEC, Thermador, Twin Eagles, Viking, Weber, and Wolf. We do gas barbecue repair, smoker barbecue repair, electric barbecue repair, portable barbecue repair, charcoal barbecue repair, freestanding barbecue repair, built in barbecue repair. We also repair, install and clean outdoor kitchens, cooktops, pizza ovens, sinks, outdoor refrigerators, wine coolers, dishwashers, beer taps, smokers, hibachi grills, warming drawers, patio heaters and much more. We will be happy to hear from you about any of your outdoor appliance needs! Our company does professional Weber grill repair, grill cleaning, and restoration. Our team is factory trained and certified. We have more than 30 years or experience in repair on all brands and models of BBQ grills.